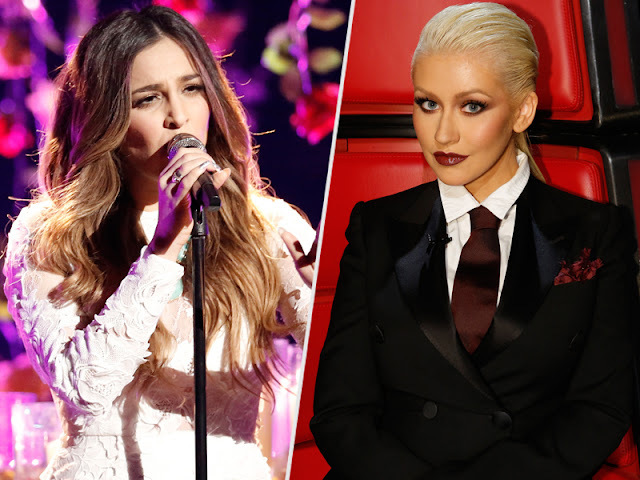 In a recent interview with People magazine, Alisan Porter opened up about performing The Eagles, 'Desperado' in last weeks Voice: Semi-Finals, as well as took the time to thank her coach, Christina Aguilera, for everything she taught her. From balancing motherhood and work to making the 'Desperado' performance possible. "She's been the physical representation of what I want to be when it comes to being a working mom in the music business. That's been my biggest thing, just watching her. I've seen her with her kids a bunch of times; they've been here a bunch of times, and my kids have come. Just knowing that it's possible for me to be able to do that and my kids will be cool, they'll still have time with their mom and all that kind of stuff, is No. 1." "Christina actually was the only person that was able to get the song cleared. Her manager happens to be The Eagles' manager as well. We found the song. It was a struggle, for at least me, to find a song for this week. Finally, we chose it, and we had to get it cleared, and the only person who could do it was Christina."